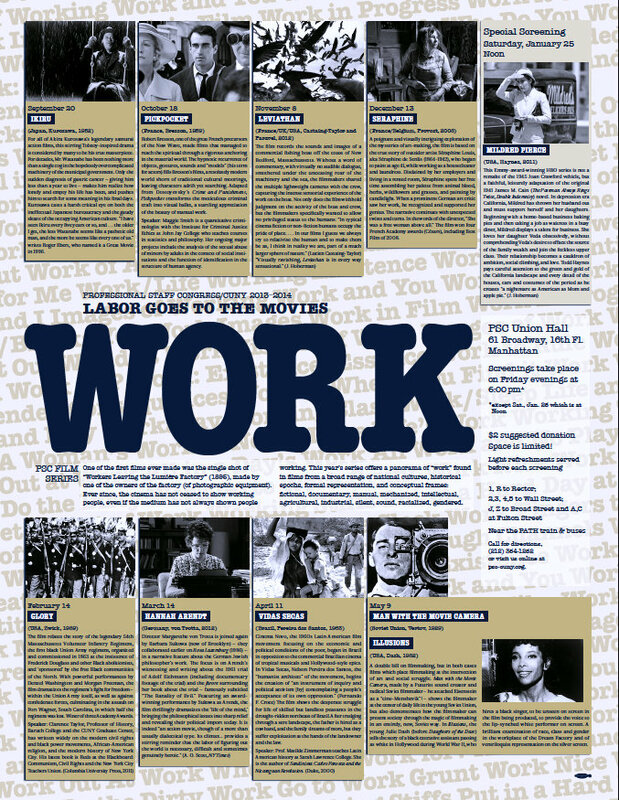 Read more about the Labor Goes to the Movies film series. Festival Synopsis: The Labor Goes to the Movies Committee plans and organizes the PSC’s long-running film series , which screens films about unions or social movements. As a committee, we select the films, usually after spirited discussion, and arrange for a speaker with expertise in the film’s subject to lead discussion. The committee is open to all, and includes film studies faculty as well as members who just love movies. We meet during the spring and summer to choose the following year’s films and stay in touch by attending the screenings each month.